MOMO GASTROTRUCK is founded on the principle of being creative and having fun in hopes that our guest will share our excitement. It is shaped by our craftsman approach to cooking, the culture of our city, and the products of our local farmers and fishermen. 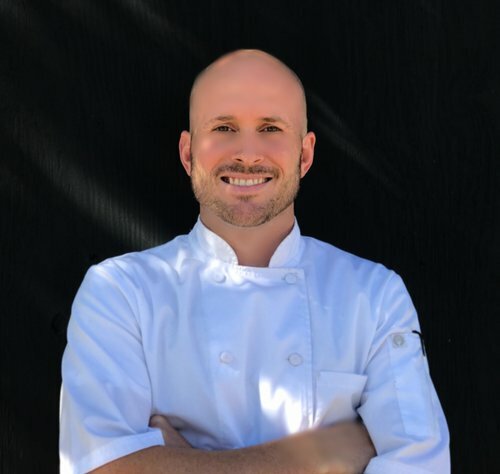 Chef Justin Moore wants our guest to know that it is possible to have wonderful, creative, and innovative cuisine from a truck with the same standards and quality that you would experience from a fine dining restaurant to rustic gastropub in a brick and mortar setting. Our menu options are seasonal and change based on the ingredients availability and inspirations of the kitchen. We take pride in our values and hope to continue to grow and support the local food community. Farm to Street. chilled. shaved local lettuce. citrus. celery. american fondue. shaved lettuce. tomato. A native of Columbia, S.C., Moore attended the Art Institute of Atlanta after being in the Marine Corps. He gained extensive experience being the Executive Chef in kitchens ranging from Atlanta’s Peachtree Club, Wyndham Hotels and Resorts, Georgia World Congress Center, the Atlanta Braves 755 Club, and Charleston institution Carolina’s. Leaning on his experience he has been a consultant to many restaurants in the Charleston area. Raised in a family that connected with food and ingredients through home-cooked meals and family dinners, Moore developed his passion for food helping gather produce from the family garden, pickling peppers with his grandmother, and picking peaches with his grandfather a peach farmer. Moore brings the values of his upbringing and professional experience to the kitchen at MOMO. His vegetable driven menus will feature regional seafood and game as well as nitrogen milkshakes. MOMO Gastrotruck starts rolling on May 1 with street-side and catering services. The kitchen on wheels will serve serve lunch and dinner, including a grab-and-go selection of food, beverages, and produce. Moore will concentrate on local produce, seafood, and game. There’s also the promise of “nitrogen milkshakes,” which uses liquid nitrogen to transform an ice cream base into an icy dessert within seconds. After years of working behind the scenes as a chef in a number of restaurants including Carolina's, Columbia native Justin Moore decided to expand his horizons while simultaneously doing what he hopes will expand the South’s perception of fine dining. Moore is opening MOMO, a gastrotruck and catering service, on May 1. After being intrigued by the food scene in L.A, Moore was motivated to branch out and show people the possibilities of mobile eateries. Moore says that the goal of MOMO is to change the common perception of the food truck by bringing white-tablecloth-quality food to the streets. “We want MOMO to change the food truck scene in the South,” he says. Moore also says that his kitchen is like a pub with no rules. The truck’s menu will include a hot dog made of bison meat, chicken rinds, and for dessert he'll serve a nitrogen milkshakes. Moore adds that Charleston’s culture and local resources played a huge role in his location decision. Momo Gastrotruck has arrived in Charleston with a mission to provide Charleston with the best dang restaurant experience possible - without the restaurant. Call it farm to street. Cause they do, at least. And it sums up MOMO pretty succinctly. Owned and operated by a chef who also happens to be an ex-marine, it's a truck whose commitment to quality is downright scary; ready and willing to do things the hard way, since hard generally leads to correct. Local ingredients make up everything on the menu, making the most of South Carolina's thriving resources to deliver a meal that celebrates the same community that it feeds. Elevated comforts like oyster po'boy, bison hot dog, and shrimp & grits populate the menu's main attractions, with organic salads and delectable starters accompanying them. Oh, and cookies plus nitrogen milkshakes that retain full flavor as they melt bookending the whole shebang. Yeah ambition isn't lacking here. And neither is taste. So track down Gastrotruck next time they make the rounds. They've got a mission you're gonna wanna accept. And accept. And just keep accepting, really. Thanks for reaching out! We'll be in touch shortly!